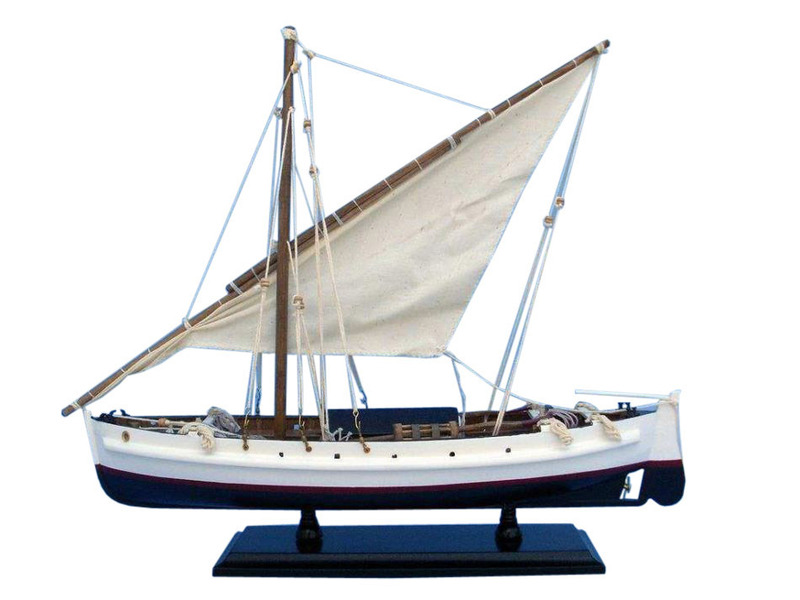 This little sloop serves as a wonderful piece of nautical décor for any beach house, sunroom or office while its fine craftsmanship and excellent features make it an impressive model fishing boat for display to friends and family. Supplied with fishing lines and nets as well as a lobster trap, this lateen-rigged motor sloop won’t come home empty handed even if it has to row back to shore. Seafood’s on the menu tonight for this adorable fishing boat model. Lobsters are found in all the world’s oceans, and lobster fishing is a $1 billion annual industry. In North America, the most important regions for lobster fishing include New England, southern California, the Caribbean and the Canadian Maritimes. Although lobsters may be harvested by diving, including scuba diving, the use of lobster boats allows lobster fishermen to significantly increase their catch. A single fisher in a small lobster boat is able to set, harvest and reset more than 100 traps in a single day, catching anywhere from 100 to 1000 lobster. Larger fishing boats and crews can lay strings of traps to increase their catch. 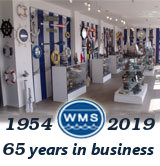 Lobster traps are simple rectangular or half-cylinder cages with a one-way entry. The fisher places bait in the trap then lowers it to the sea floor where the lobster live, while a floating buoy marks the trap’s location. After allowing time for several lobster to enter the trap, the fisher returns in their lobster boat to the recover the trap, extract the lobster and then reset the trap. Traditional lobster traps are made from oak, but modern ones are constructed of a wire mesh coated with heavy plastic. Small escape hatches allow undersized or juvenile lobster to escape, while the one-way doors feature a “self-destruct device” that causes them to fall open after a period of time if the trap has not been recovered by the lobster boat.